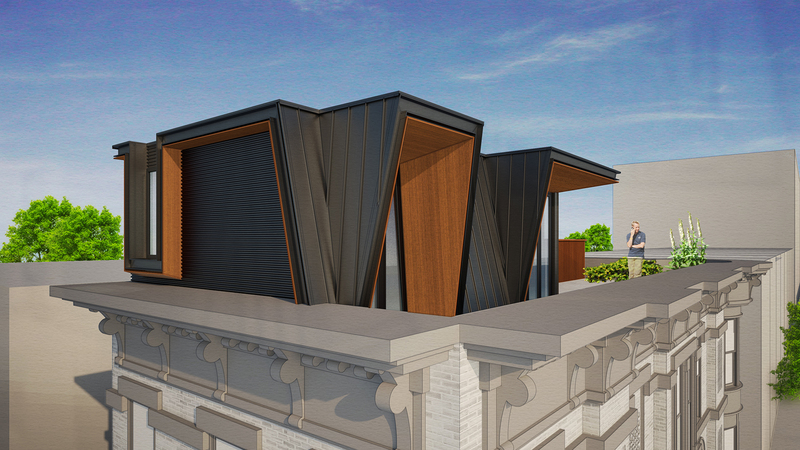 OPerA Studio Architecture is excited to announce that the Landmarks Preservation Commission has approved the addition of a penthouse to the historic townhouse at 576 Vanderbilt Avenue in Brooklyn. 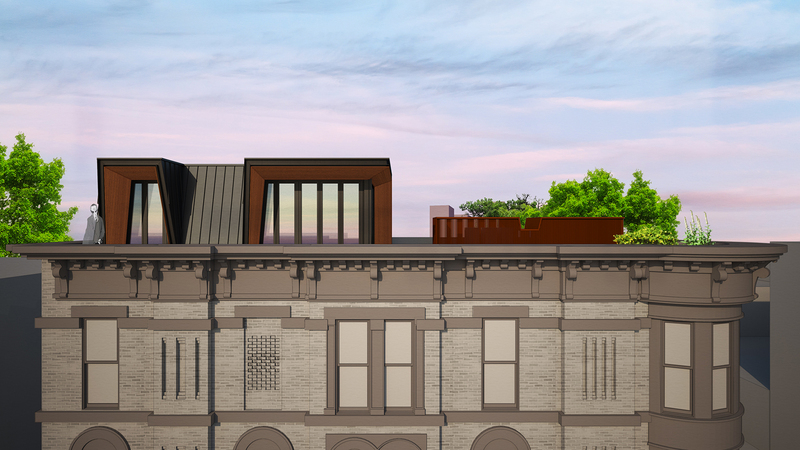 The 299 sqft addition – part of a newly renovated duplex apartment w/ private roof terrace – will crown the newly renovated and restored building which was designed by the architect Timothy Remsen and built c. 1891. The addition to the building was designed as a contemporary take on the mansard roofs found on some Romanesque Revival style buildings in the Prospect Heights district. 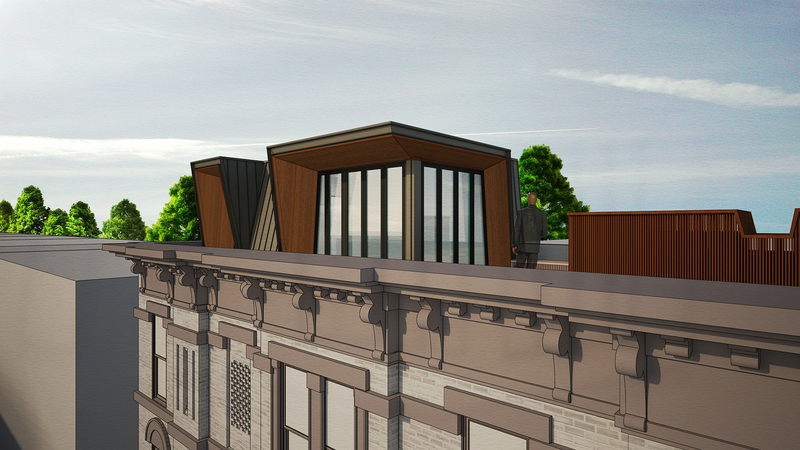 The rhythm of the penthouse’s glazing is derived from 576 Vanderbilt’s facade, and the dark bronze and teak material palette will elegantly complement the existing building and its context. In addition to the penthouse, OPerA Studio Architecture has designed the restoration of 576 Vanderbilt’s facade which will include repairing the cornice, restoring its storefront glazing, repairing the brick and stone on the building’s facade and restoring the windows and doors to their original wood mullions and molding.